If you are thinking of driving as a profession, you have indeed chosen well. Especially if you choose to drive large goods or heavy goods carrying vehicles or passenger carrying vehicles, you would have no trouble getting employment whatsoever. The reason is the increase in need for good passenger carrying vehicles driver as well as goods carrying vehicles drivers. The number of factories are increasing everyday and with that the need for goods carrying vehicles. Hence you would have quite a good earning opportunity by opting for LGV (HGV) training, refresher training courses program or PCV training program from a good institute. LGV (HGV) training is meant for driving large good vehicles and heavy good vehicles while PCV training is meant for driving passenger carrying vehicles. Dhoot Driving School offers these training programs along with B + E car and trailer training as well as driver CPC training. When you enroll with us for a driving training program, all you would need to have is the willingness to learn, we would ensure that you become a skilled professional driver by providing you with the best possible training. All our training programs are designed with a combination of theory classes as well as practical education such that there is no gap in your driving training. The vehicles we use for training are not only fitted with dual control systems but each vehicle is in impeccable condition. We also train you to drive a vehicle of your choice with that particular kind of vehicle i.e. if you want to drive a large goods vehicle, we would train you with such a vehicle only. 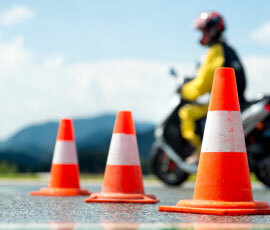 Hence you can learn driving in a safe environment as well as with the vehicle of your choice. The trainers at Dhoot Driving School are not only approved driving instructors and are registered with the driving standard agency but are also expert in driving and also in various different languages. Hence language would never be a barrier in your driving training, when you enroll with a driving training program with us. B + E car and trailer training â€“ this training meant for driving towing vehicles has only two categories, B license and the B + E license. The kind of weight your vehicle would be able to tow as well as your age would be the deciding factors on which category would be suitable for you. PCV training â€“ for passenger carrying vehicles driving, this is the training program to opt for. The various categories are D1 minibus, D1 + E minibus & trailer, D automatic bus, D manual coach, D + E coach & trailer. The number of passengers you would be carrying in the vehicle as well as your age would decide the category that would be suitable for you. The kind of vehicle you choose to drive would also be a deciding factor; for instance for driving manual passenger carrying vehicles, you would need a D1 minibus or a D automatic bus, and the other categories are for driving automatic passenger carrying vehicles. LGV (HGV) training â€“ for driving large good vehicles or heavy good vehicles, you would be undergoing this training program with categories C1 â€“ license, C1 + E – license, C1 + E â€“ 7.5t & trailer, C â€“ up to 32 tons and C + E truck & trailer. Apart from your age, the other factors that would influence you choice of a category are the weight your vehicle would be able to carry and the kind of vehicle you would be driving. For articulated vehicle, only the C1 + E license would do and all the others are meant for driving rigid vehicles. CPC driver training â€“ for driving professionally you have to get this training which consist of passing CPC theory test. There are many CPC driver modules but among these you would initially have to qualify for only CPC module 4 and 2. 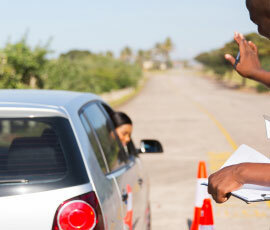 Module 4 is about practical driving test with the vehicle that you would be driving and module 2 is the CPC case study. If you are worried about not being able to clear your driving test for the first time, we have the services of pass protection and PCV pass protection for you. Theses services would allow you to appear for a re driving test, in case you fail the first time, which is very unlikely with our tailer made training programs. There are many other such services and training programs on offer with us. Hence for more information please visit us at Dhoot Driving School in Chadwell, London.